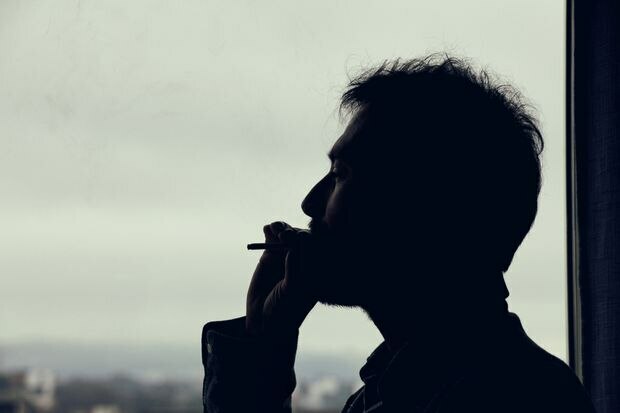 Cannabis is legal in Canada now, but that hasn’t stopped condominium boards across the GTA from continuing to try to ban residents from ever smoking up in the apartments they own or rent. Beginning in the months before legalization on Oct. 17, there were dozens of reports of condo companies and rental managers across the country passing new rules against smoking inside private homes in multiresidential buildings. But some experts in condo law say these bans may fall apart under their own overreaching weight. “It’s a knee jerk reaction," said Caryma Sa’d, a lawyer who specializes in housing and tenancy cases and has increasingly focused on cannabis law. "I think the worst that I’ve seen was an absolute blanket ban that didn’t have any sort of exemptions for medical uses … that would not survive any level of judicial scrutiny,” she said. Examples of recently passed or proposed bylaws obtained by The Globe and Mail back up Ms. Sa’d’s experience. In early October, the condo board of 500 Queens Quay W. – a mature condo finished in 2003 – passed a restrictive smoking ban in all private units with the support of about 28 per cent of the building’s 189 unit holders (barely 46 per cent of owners or their proxies showed up for a special meeting called to vote on the issue). It also banned all cannabis plant cultivation, declared that it may someday make rules regarding the delivery of any cannabis products to the building and also banned anyone from selling or even conveying cannabis on the condo property. It did open up the loophole of allowing current residents who smoke tobacco to register on a new list with the property manager, within 30 days of passage. It also claims the grandfathering only applies to tobacco and not cannabis. “You can’t stop someone from smoking in a unit if they’ve always smoked in a unit prior to bringing in a rule that says you can’t smoke,” said Tammy Evans, condo law expert and a partner with Aird & Berlis LLP. Ontario’s Condominium Act empowers the not-for-profit condo management companies to set rules for communal living, but when it comes to banning behaviours, particularly in private units and not the common elements such as hallways and some balconies, according to Ms. Evans, there is a “reasonable limits” test. In 2017, Health Canada published the Canadian Cannabis Survey (CCS) to study public attitudes toward cannabis, and found that 28 per cent of Canadians think it is completely socially acceptable to smoke Cannabis for recreational purposes, while only 19 per cent think smoking tobacco is completely acceptable. Alcohol remains the country’s most accepted vice: 56 per cent agree that alcohol is completely acceptable. More than 9,200 Canadians participated in the survey. Those who reported using cannabis fell into three main camps: the 55 per cent who say they use it fewer than three days a month, the 36 per cent who say they use it fewer than one day a month and the 18 per cent who report daily use. About 94 per cent of cannabis users are smoking, compared with other forms of consumption such as vaping or edibles. Chris Bell, a partner in design firm WolfsonBell, owns a ground-level townhouse at 500 Queen’s Quay W., and says a small group of residents pushed the issue to a vote. He doesn’t live in his unit; it’s an office for his firm in the mixed commercial zoning section of the building, but he objected to the idea when it was being discussed over the summer. “I disagreed in principle, because I thought it might affect the value of my unit and I thought it was unenforceable,” he said. Not that he intends to smoke at work, but he doesn’t know what kind of person or enterprise might want to buy the downtown unit in the future and a total cannabis ban might put off bidders. He also raised the issue of possible expense to the unit-holders if the rules end up in litigation. “We already lost a bunch of dough in a service-animal-rights case,” he said. In extreme cases when condo owners refuse to abide by condo rules, they can be sued by the corporation in a civil case in superior court; the nuclear option in some cases is that owners are forced by the court to sell their units and move out of the community. Ms. Sa’d expects there will be some costly battles before corporations learn what the legal limits of these bans are.